Versatile, strong, and stunning — it’s no wonder architects and designers worldwide are using glass splashbacks. 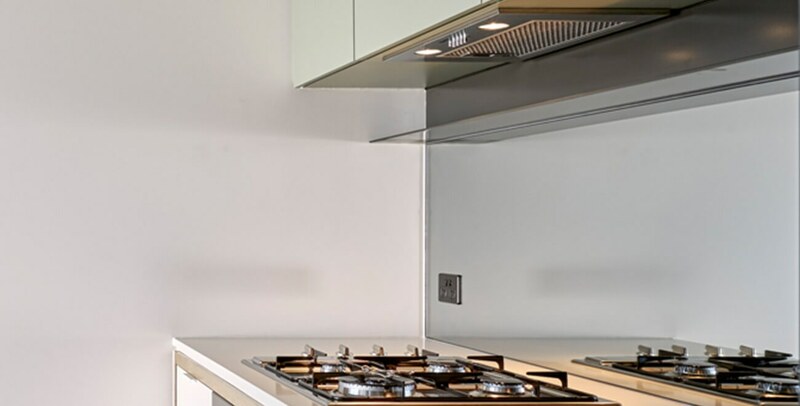 As suppliers and installers of safe, durable and immaculate glass solutions, here are our top 5 benefits of glass splashbacks. Glass splashbacks are completely customisable, guaranteeing bespoke kitchen designs. This makes GPO placement and appliance integration a breeze, whilst also opening up other splashback possibilities, including bathroom, commercial and corporate applications. You’ll find that you can achieve just about any coloured glass splashback, ranging from solid to metallic colours, providing you with true design versatility. As a result of the naturally occuring iron oxide found in materials used to produce glass, glass products, including splashbacks, will have a slight green hue. In some cases when using lighter paint colours, this green can impact the splashback’s overall colour. Understanding the importance of preserving design intent, Novas Glass & Glazing offers Clear and Ultra Clear options, ensuring clarity and minimising colour distortion by reducing iron levels. Printed glass splashbacks are ideal for achieving that bold, truly unique and breathtaking design statement. From an image of a natural landscape, to a patterned digital design, to an image created to emulate marble or tiled splashbacks — the possibilities are endless. During a time where the residential landscape is shifting dramatically towards smaller and more efficient homes, maximising space has never been more important. Mirrored splashbacks work well to enhance a kitchen’s space by magnifying the room’s view and natural light, all through reflection. By creating this sense of space, glass splashbacks assist in encouraging more interactive, open plan living zones. Glass splashbacks are naturally more durable and resistant to scratches compared to stainless steel and tiled counterparts. On top of that, glass splashbacks are toughened using a series of rigorous heating and cooling processes. Novas Glass and Glazing works with a reliable network of glass toughening plants to ensure the strongest glass splashbacks are supplied to guarantee efficient installation, as well as safe and lifelong satisfaction for end users. Unlike tiled options, glass splashbacks are smooth and seamless, resulting in much simpler cleaning and maintenance. In most cases, a microfiber cloth and some water are all you’ll need. Glass splashbacks can take the heat — literally. When used properly, heat applied to glass splashbacks as a result of cooking will not affect the product — no fading colours or materials, no cracking, warping, blackening, and certainly no impacts to safety. As our lives are becoming increasingly fast-paced, so is the demand for enhanced building and living materials. Glass splashbacks work well to provide that sense of hassle-free living, all whilst ensuring customisation and bespoke design. 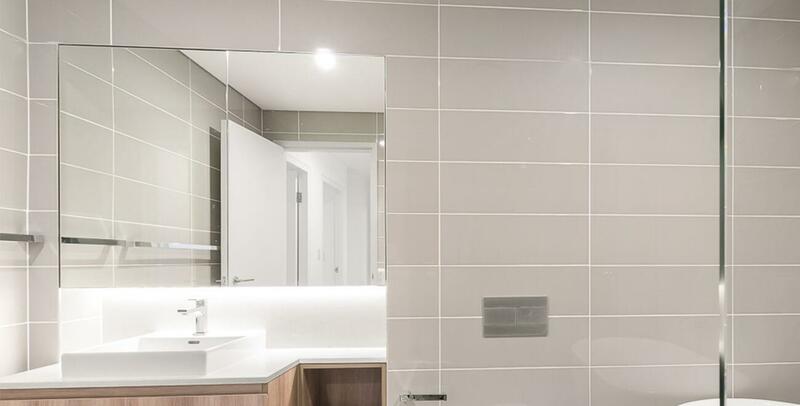 At the forefront of glass solutions, and with a unique presence throughout Australia, Novas Glass & Glazing specialises in the production and installation of safe, high quality, and customised glass services, including frameless and semi-frameless shower screens, splashbacks and mirrors. For more information about how Novas Glass & Glazing can supply your next project, contact us now. Click here for more Novas news. We have extensive experience in using frameless shower screens to execute seamless and elegant bathroom statements. We ensure stability meets elegance with made-to-fit premium semi frameless shower screens. We provide strong customised splashbacks, both as painted and mirrored options, ensuring to accomplish various kitchen design statements. Novas Glass & Glazing knows the versatility of mirrors and works to ensure seamless and strong finishes. Novas Glass & Glazing understands the importance of a streamlined installation process, and utilised various techniques and technologies to achieve this.